Professor Terry Hemeyer is a senior lecturer on the faculty of The University of Texas at Austin, Stan Richards School of Advertising and PR, Moody College of Communication teaching communication management and strategies. He is past chair and a current member of the College of Communication Advisory Council. He is also on the faculty of the Rice University MBA Program teaching corporate crisis management. Hemeyer has extensive experience in advertising; corporate, litigation and financial communication; media, government, employee and community relations; consumer marketing and segmentation; leadership counseling and crisis management. He has appeared on the NBC Today Show, Tonight Show, CBS 60-minutes and has been interviewed by many media including the Wall Street Journal, New York Times, CNN, Fox News, Business Week, Washington Post and USA Today. He has also advised two U.S. Presidents on communication and political matters. Professor Hemeyer is one of the few communication executives to attain C-suite status. Terry has been a senior executive (c-suite) for a Fortune 500 company and was the chief communications executive for an international consumer company. He has been an executive VP for Edelman Worldwide, served in the U.S. Air Force, was selected for the rank of colonel and received the Bronze Star for his service in Vietnam. He presently also serves as executive counsel to Pierpont Communications in Houston, San Antonio, Dallas and Austin. 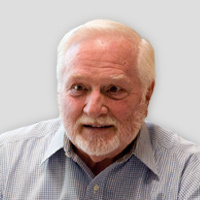 During his career, his corporate team was named a “large corporate communication team of the year” and his agency team garnered ‘non-profit campaign of the year in PRWeek’s national competitions. He has been named Practitioner of the Year by the Texas PR Association, a “Pioneer” by the USAF Public Affairs Association and holds the “Eyes of Texas” award presented by UT students for his outstanding teaching. Hemeyer’s education includes the Stanford University graduate business school executive program, a M.A. in communication from the University of Denver and a B.S. in education from The Ohio State University. He has also completed Harvard University’s “case study teaching” program.